Are Sample Subscription Services The Future For Indie Musicians? by Luke Alex Davis May 27, 2018 Leave a Comment on Are Sample Subscription Services The Future For Indie Musicians? Music consumption has changed quite a lot in the past 30 years. The latest metamorphosis reduces songs to samples of their individual components. Forbes writer Cherie Hu wrote an interesting piece on the next wave of recorded music’s disruption detailing the emergence of “sample services”. The popular format changes from vinyl to compact disc were groundbreaking but Napster’s deconstruction of albums into profitable singles changed the game forever. P2P clients like Limewire and Kazaa dominated the internet but piracy damaged recorded music revenue. Now, streaming has filled the chasm and plays an integral part in chart placing to the point an artist can feature highly before record sales are taken into account. But another deconstruction is taking place. Samples of instrumental one hits are the capital for services like NI’s Sounds.com, Splice Sounds, and LANDR’s sample service. Sounds.com is an online subscription service charging $9.99/month for up to 1GB of monthly downloads. Its pool of loops and samples stands at nearly 600,000, coming from their partnered labels. At the moment they’re in beta and only available to US customers but signs are promising. Splice Sounds is a little cheaper, starting at $7.99/month for 100 download credits and $13.99/month for 300. The pool is also bigger with 2 million sounds and exclusive packs from artists like deadmau5. The distribution of revenue is based on downloads with Splice dishing out over $7m to sample creators so far. It’s a financial battlefield for indie artists right now. Low income from streaming and high production costs mean live performances are still very important. 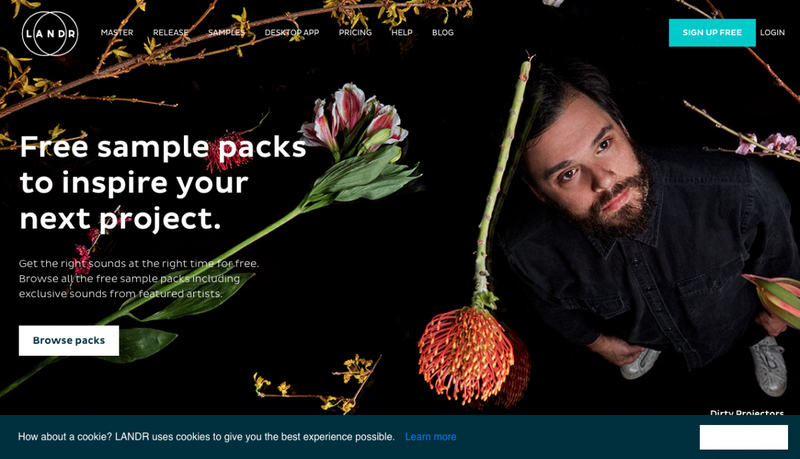 Bandcamp’s transparent revenue model but are these sample services the missing link? And what of the downloaders making their own music? More original artists are suing musicians for unauthorised samples and clearances cost money many producers don’t have, hence the risks they take. Even iconic groups like De La Soul are going down the route of recording their own samples. A subscription is minuscule in comparison to a shopping list of cleared samples and builds a deeper connection between the composer and the content creators. Imagine an upcoming EDM producer making their best beat thanks to a sample from deadmau5. It can be the stuff of dreams and with more high-quality samples being added to these services every day, the possibilities are endless. Where do you stand on these new sample services? Let us know in the comments.